(MENAFN - Trend News Agency) Foreign Minister Mohammad Javad Zarif participated in a ceremony marking 40th victory anniversary of the 1979 Islamic Revolution in Beirut late on Monday, Trend reports citing IRNA. Organized by Iran's Embassy in Beirut, the event was attended by the Lebanese political, cultural and religious figures as well as other countries' ambassadors, including Russia's Alexander Zasypkin and Syria's Ali Abdelkarim Ali. 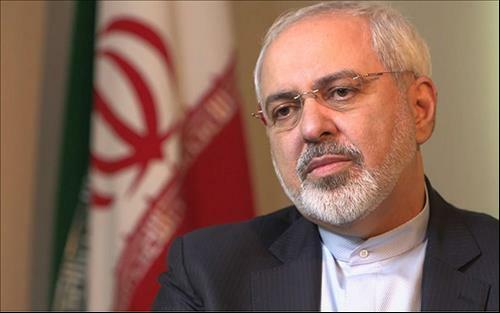 Addressing the gathering, Zarif congratulated victory anniversary of the Islamic Revolution and thanked the Lebanese nation for accompanying the Iranian nation in its freedom seeking drive in post-Revolution era. 'The Iranian people also consider it an honor that it has been standing alongside the Lebanese nation, a clear example of democracy, resistance and dignity, after the victory of the Islamic Revolution,' he said. Zarif maintained that Iran's security, peace, independence and progress are indebted to its reliance on the public,' he said. Congratulating the Lebanese nation on the establishment of the new government, he voiced Iran's readiness for boosting ties in all fields. Zarif arrived in Beirut on an official two-day visit and he is the first foreign minister visiting the country since the setting up of the Lebanese government. Thus far, Zarif has had meetings with Lebanese president, parliament speaker and foreign minister and prime minister of the country.